Did you ever wonder why your favorite potato chips always have just the right amount of crispness? Or why your powdered laundry detergent always leaves your clothes smelling of the same freshness? The answers to these questions – and quality & consistency of many consumer goods – are dependent upon the moisture content of these products, and Ohaus moisture analyzers can help to ensure quality through precise moisture determination. Many industries rely on moisture analysis to ensure the quality of the goods we use, and consume, daily. Precise moisture analysis is critical to pharmaceutical manufacturing because the moisture content in bulk drugs and intermediates has a direct influence on the quality of the next step in production. 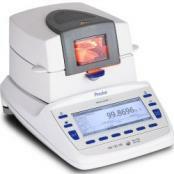 Moisture analysis is critical to quality, taste, and shelf life of many foods. Moisture balances ensure quality at every stage of food production, ensuring tasty and safe final products reach the consumer. The level of moisture in agricultural goods is key to determining the price of the goods. The accurate and repeatable results produced by moisture analyzers can help ensure fair commerce. Finally, for a limited time Ohaus is actually rewarding customers with iTunes gift codes for each purchase of MB45 or MB35 Moisture Balances. Contact us at 919-776-7737 for details. 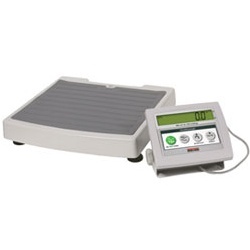 Headquartered in Parsippany, NJ, Ohaus Corporation manufactures an extensive line of high-precision electronic and mechanical balances and scales that meet the weighing needs of virtually every industry. Ohaus is a global leader in the laboratory, industrial, and education channels as well as a host of specialty markets, including the food preparation, pharmacy and jewelry industries. An ISO 9001:2008 manufacturer, OHAUS products are precise, reliable and affordable, and are backed by industry-leading customer support.